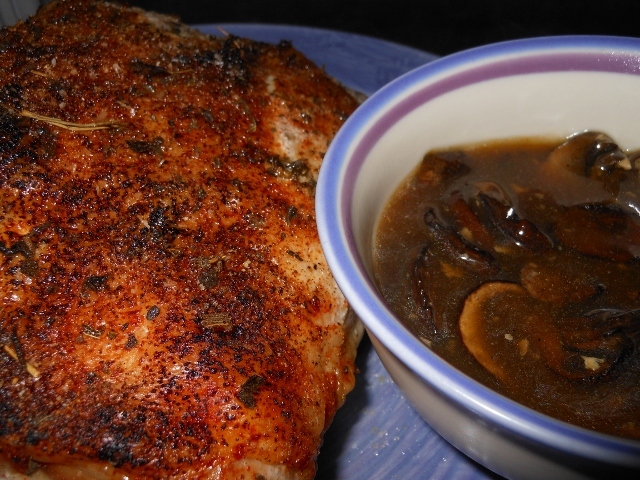 I fixed another simple roasted pork loin but this time I decided to add some fresh mushrooms. Very simple and quick to do; everything came out great I don’t think I would change a thing. Oil small roasting pan; spread mushrooms in bottom of pan and lay pork on top. Season with salt, pepper, garlic, and sage if desired. Roast at 350 degrees for about one hour. I wanted to brown mine a little so I kicked it to broil for about 5 minutes before removing from the oven. Once done remove roast from pan leaving mushrooms behind. Cover roast and set aside. Add chicken stock to pan to deglaze; I then transferred to a sauce pan to finish making the gravy. Heat to a slight boil. Mix together cornstarch and cool water and add to simmering sauce. Stir until thickened. Serve with mashed potatoes if desired. 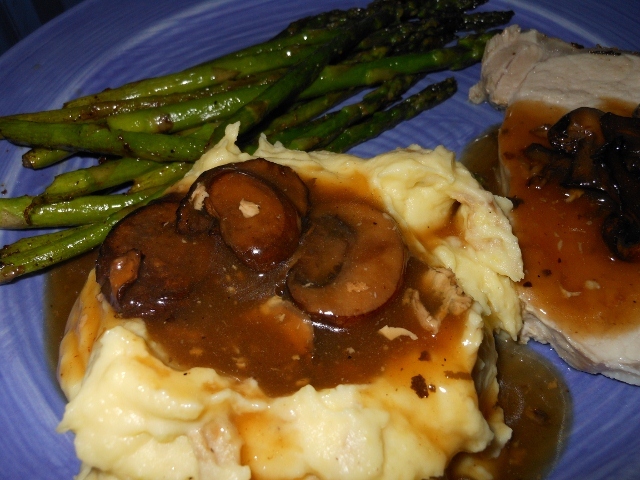 This entry was posted in Entrees, Recipes and tagged food, gravy, mushroom, pork, pork loin, pork loin roast, recipe, roast. Bookmark the permalink. 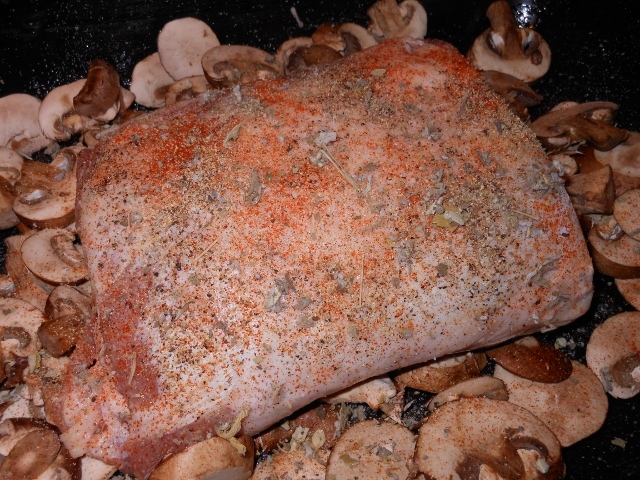 I love the tecnique of roasting the mushrooms under the meat… great idea!